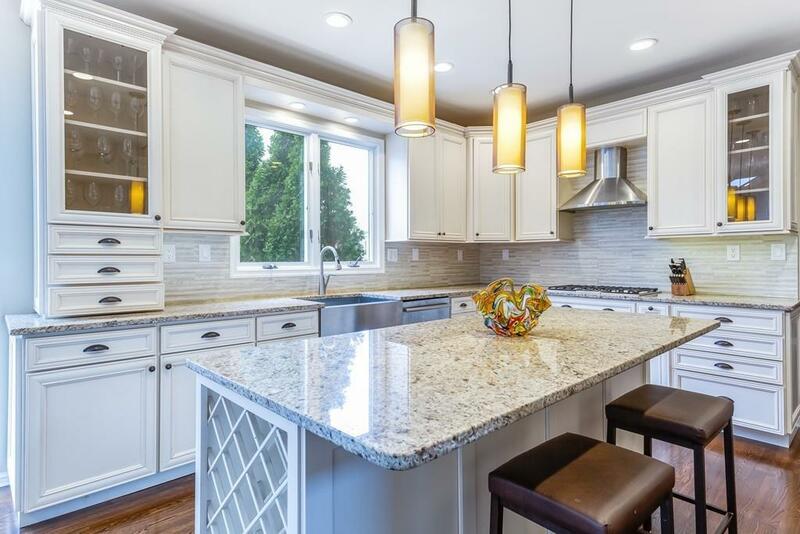 GRAND ELEGANCE & DISTINCTION AWAITS w/this breathtaking 4 bed, 2 full 2 half bath brickfront CUSTOM UPDATED COLONIAL in one of Sharons most sought after neighborhoods! Impressive QUALITY, WARMTH & CHARM w/all of todays amenities! 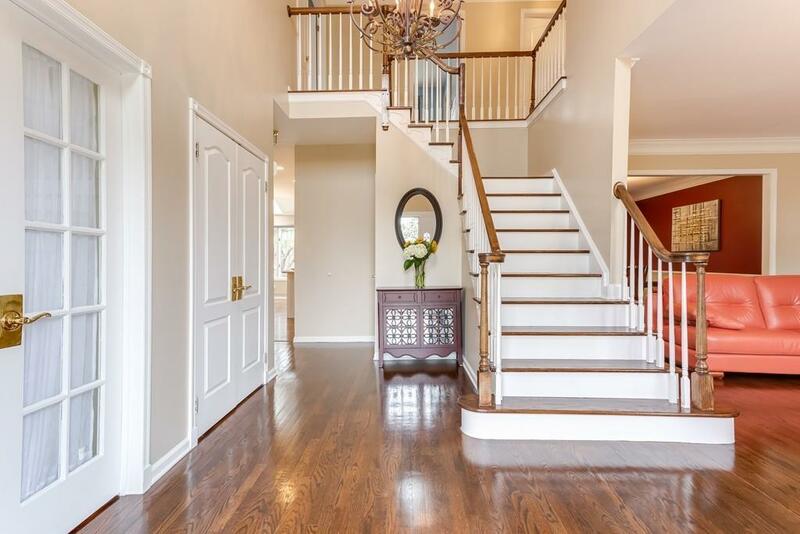 Youre welcomed by a GRAND 2-STORY FOYER, GLEAMING HARDWOODS throughout, 9 ceilings, architectural details & abundant natural light! 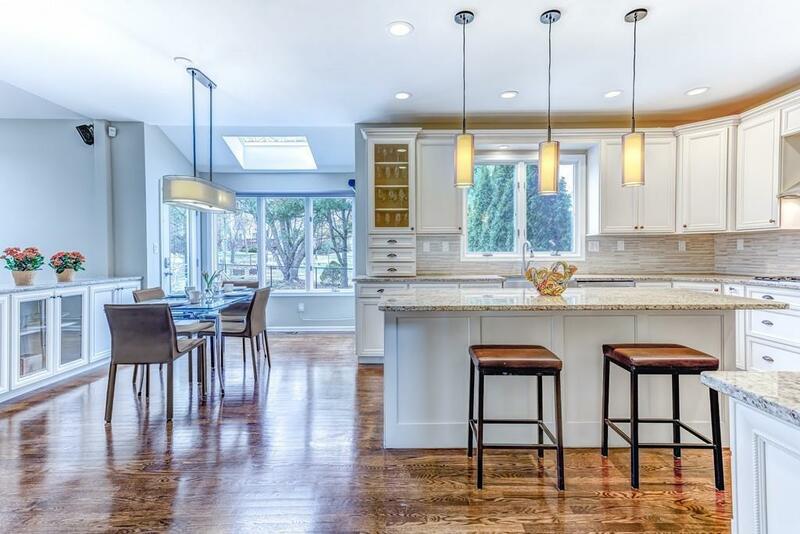 DRAMATIC OPEN living spaces incl STUNNING CHEF'S kitchen w/QUARTZ, island, LIGHT & BRIGHT eating area perfect for GRAND ENTERTAINMENT w/access to stone patio! FABULOUS stepdown FIREPLACED CATHEDRAL SKYLIT family rm w/SHOWCASE WINDOWS, CLASSIC FIREPLACED living rm, FORMAL dining rm, office w/FRENCH DOORS & mudroom w/built-ins complete 1st fl! Retreat upstairs to VAULTED ceiling MASTER SUITE w/LG WALK-IN closet & SPA INSPIRED master bath w/CATHEDRAL ceiling, SKYLIGHTS & soaker tub! 3 SPACIOUS & GRACIOUS bedrooms & full bath complete 2nd fl! FABULOUS finished LL w/playroom, bedroom, bath, & bonus room...the PERFECT HOME!